I know we’re focused on affiliate marketing, but have you ever thought about combining that knowledge with a partner to create your own programs? If so, then this is the way to do it. First, you’ll need a friend or business partner who is going to handle the product creation. Theoretically, you could do this yourself as well, but if you’re going to focus on affiliate marketing, it’s best to actually focus on affiliate marketing and let someone else handle the actual product. Then, you sign up with an affiliate network and offer a competitive multi-tier commission. To be successful, make your commission as competitive as possible. Especially with digital products, it’s often best to attract affiliates with high paying offers, even if it means you make less per sale. 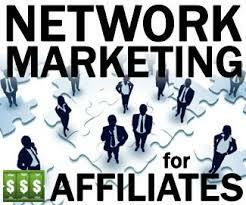 That income will be more than offset by the volume of sales your affiliates will do for you. To sweeten the deal further, have your affiliates recruit other affiliates, making it both more lucrative for them and for you. To kick things off, run a paid launch campaign using your affiliate network of choice, and offer additional bonus incentives for the top affiliates provided they hit certain milestones and sales targets. Be creative! You could turn almost anything into a multi-tiered program.